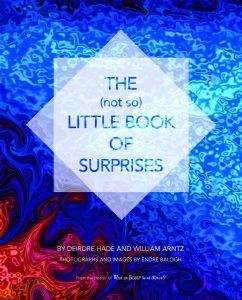 This is an interview by The Bleeping Herald with Deirdre Hade, co‑author of the book The (Not So) Little Book of Surprises. Herald: Your book is filled with mystical poetry, prophecy and nuts-and-bolts wisdom for living, with some good laughs and gorgeous pictures. How did something like this come about? Deirdre: This book was actually twenty years in the making. Will got the great idea to take my writings and the mystical transcendental experiences I teach and put them in quick-read book along with the photos of award-winning Endré Balogh, so someone could go on a journey of divine wisdom. He actually would not let me see what he was doing! But I trusted his insight and I love what he put together. Herald: Aside from surprising you, where does surprise fit in for the reader? 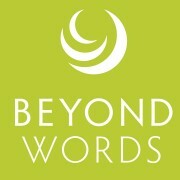 Deirdre: We can study, worship and practice, but when those “a-ha” moments of awakening show up, the world is different. It’s always a surprise. The book is designed to offer the experience of transformation to the reader—and if that happens it will come as a surprise! Herald: Since a very young age you’ve been visited by angels, saints, and illuminated beings and they speak to you. Much of the book is quotes from these beings. What’s one of your favorites? “The Gates of your Reality are opening. You are entering into the age of the mystical, the rebirth of mystery. Here, you will begin a sojourn home. Thus, I who have travelled with you, protecting you, caring for you, guiding you, lest the seed of your magnificence be lost. I have a path to bring you home, a path to return you to your brilliance. Herald: Well, that’s amazing – and a surprise. Deirdre: Yes, it’s a surprise. She, along with the other beings, feel strongly that they want their voices heard because they want to bring hope. They want to share a map. They want to share a way for all of us to get through our changing times with grace. Herald: Is this book channeled? Where is Deirdre Hade in all of this? Could you clarify that? 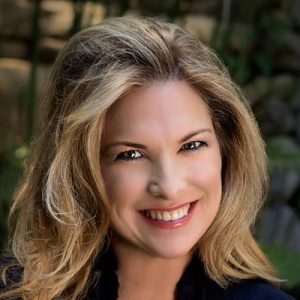 Deirdre: A channel is someone who gets out of the way and another energy comes in. I call what I do “irradiance, ” and by that I mean the ability to radiate an energy that is felt and/or experienced. I use this term because when the Angels, Light Beings, or God speak to me, I feel a palatable presence, like a heaviness of light – and my body changes. I go into a state of bliss and ecstasy. I hear their voices. Sometimes I even see them. The book is a combination of my own wisdom and what I’ve learned from God and the Beings of Light. And I’ve worked very hard to make sure that the voices I hear are who they say they are. Herald: How did you get to the place where this is your everyday experience? Deirdre: I can honestly say I was born this way. And yet this has been a journey of a lifetime. The first vision I had I was three-years old and at a campground. I was standing in front of a pine tree and a cloud opened and I saw a truck run over our tent where my baby brother was sleeping. I turned and ran to the tent, picked up my brother and ran out. Herald: Wow. What happened after that? Deirdre: I started being visited by angels. And I even started to teach people how to talk to their angels when I was only eight – I have the notebook. But I quit teaching after awhile because people weren’t ready for the angels. No one believed. When I was 16, my mother was diagnosed with terminal breast cancer. They said she only had a year and I went and sat with my mother and began to pray for her to be healed. A light filled the room and she asked, “Do you see this?” I said, “Yes.” And the fact that I did made her feel much better! The light sustained my mother for another eleven years. Then she came to me and said, “It’s time for me to go.” She passed away in two weeks. Three days later she appeared to me all in white, with long white hair, and she said, “Don’t be sad. I’m in a beautiful place. I have work to do on the other side, and I want you to take care of your father and your brothers.” And then zzzzup, she disappeared. After that there was an assimilation period of relearning how to live in this world. That’s when I began to share the knowledge I received and the understanding I had of healing work and how our soul can heal us. It’s been a wonderful journey working with people from all around the world in this beautiful dance of awakening. Herald: I couldn’t help but notice that, like What the Bleep, there’s a certain reverent, yet direct, humor to your material. Deirdre: Truth sometimes is very straight in your face with no sugar coating. What I love about what Will did, is he really picked out quotes that had this ring of truth to them. And sometimes humor. Herald: You talk about time speeding up and about things we can’t do because we’re not our future selves yet. Is this prophetic? Do you think prophecy still exists? 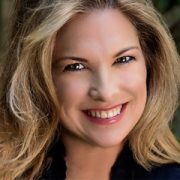 Deirdre: From my perspective of being in oneness with all of creation, there are many prophets. I look at Bob Dylan. Many of his songs are very prophetic about what we’re going through now. Great poets, great theologians – there are many who are able to give a kind of prophecy. Herald: How do you recommend people approach The (not so) Little Book of Surprises? Deirdre: I would say to let the book invite you into its journey. You may want to flip through the first time and let your eyes gaze at one page or another. Then I recommend you put aside a little time and read it from beginning to end. It takes about an hour and a half. By the time you get to the end you will feel that you’ve been on a journey. Herald: Is it a children’s book for adults or an adult’s book for children? Deirdre: I would say that it is a children’s book for adults. And children will love the book as well. Today’s children are very aware, awake, and they’re looking to be validated for the old souls that they are. This book is very supportive for young people. I’d like to say that it’s a family book…to sit around and read together. Herald: You talk about the souls that are coming in now and that they’re on a mission. Could you explain that? Deirdre: Beginning in the ‘60s more and more souls with a high level of sensitivity started coming in. They have an ability to feel and sense the natural world that is outside of intellectual, two-dimensional processing. These kids are being born by the millions, and they come in a vibration of love. They’ve come to help us heal our world. They need validation and to be shown that we welcome them and that we’re grateful they’re here. Herald: Ultimately what do you see is the gift of The (Not So) Little Book of Surprises? Deirdre: We’re here as consciousness to experience the third dimension. We’re here for experience—to create magic, to know the miracle and beauty, the justice and truth of being human. That’s the journey of our human soul. This book was created for people to have an awesome experience and get back in touch with the magic of all of that.